Transform kids from vulnerable backgrounds into changemakers. Join me as a Secret Santa! I am Abhimanyu, a fun loving finance expert. But I am also somewhere a strong supporter of giving access to quality education. And that's why, when I came across this innovative educational project by Apni Shala Foundation, that a friend of mine initiated, I was absolutely sure I was going to support it! This video was my inspiration. Did you like what you just saw? That's why I urge you to become Secret Santa for this cause. I believe that a programme like this could turn children into reflective, conscientious citizens and changemakers in our society. And Apni Shala Foundation designs and delivers such programmes for children from low-income communities every day of the year in Mumbai. This year, they're taking this to 200 children who have resolved to address 40 social issues ranging from community violence, alcoholism and addiction, right up to waste management. They will be putting in an entire year of effort to identify, investigate and try and resolve these local problems. And they need our help. As official Secret Santa for Apni Shala, I'm looking to raise an amount that will help empower an entire class of children by enrolling them in this programme. If you want to offer these children an education you've always wanted for yourself, become a Secret Santa this Christmas! All you need to do is click 'Donate' on this page and contribute a small amount to help me reach my goal. You'll thereafter be informed about how you helped made a difference. 80% of your above contribution is utilised for fee for facilitation and content development. 20% of your above contribution is utilised for capacity building of facilitators, parents' meeting expenses and community projects expsenses. *The amount is excluding 8% fee charged by Milaap on every contribution. *Every donation made through an Indian account will be eligible for tax exemption. Read their story in Your Story! I am Ibrahim, a Milaap Open Campaigns Fellow in Mumbai. 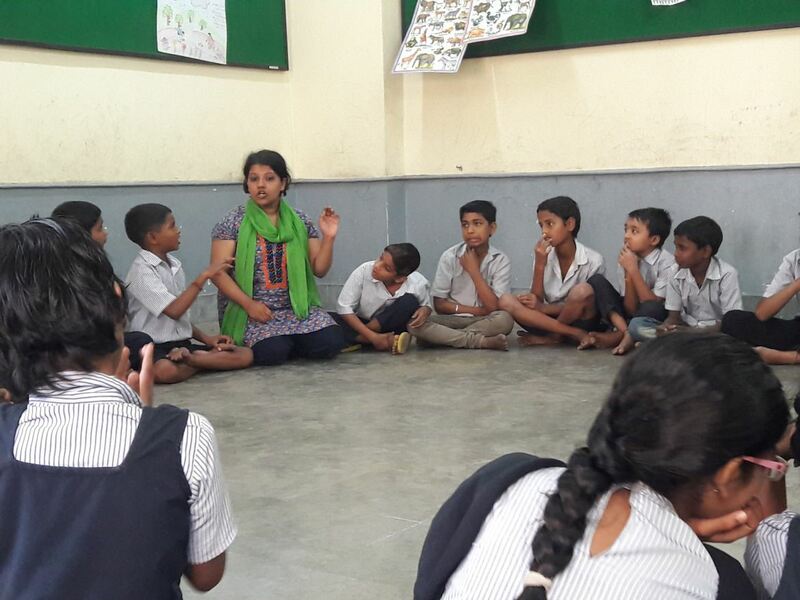 I recently attended one of Apni Shala’s classroom sessions in Chembur’s Collector Colony Municipal School. 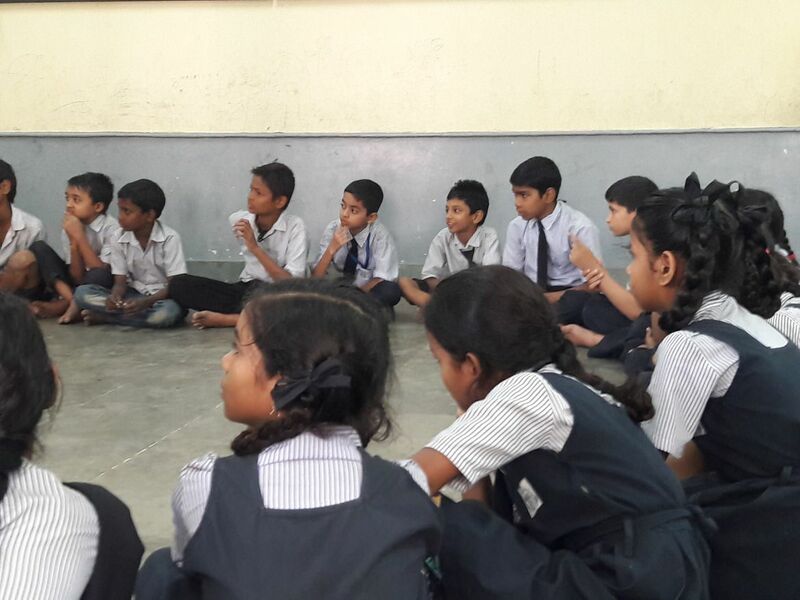 Pallavi Raikar, the facilitator invited me inside the classroom. The children were creating a huge ruckus. She called all the students from outside. Amidst all the shouting and fighting, she told them to form a circle and somehow they obliged her. Luckily, she found the final few and gathered them in the classroom. Not even once did she tell them to “keep it down” or “stop shouting” or got angry at them. The scene was quite contrary to what most of us would expect in a regular Indian classroom. She just joined their circle and started a routine. She chanted “Up, Down, Up, Down, Shake………,” and so on, as she moved and waved her hands up and down. To my amazement, the children copied her and soon forgot all about their usual shenanigans. I could not believe the coordination between Pallavi and the kids. This went on for a while as Pallavi launched into a song and dance routine about riding a motorcycle in different styles. The children imitated her and it seemed that they were having fun. 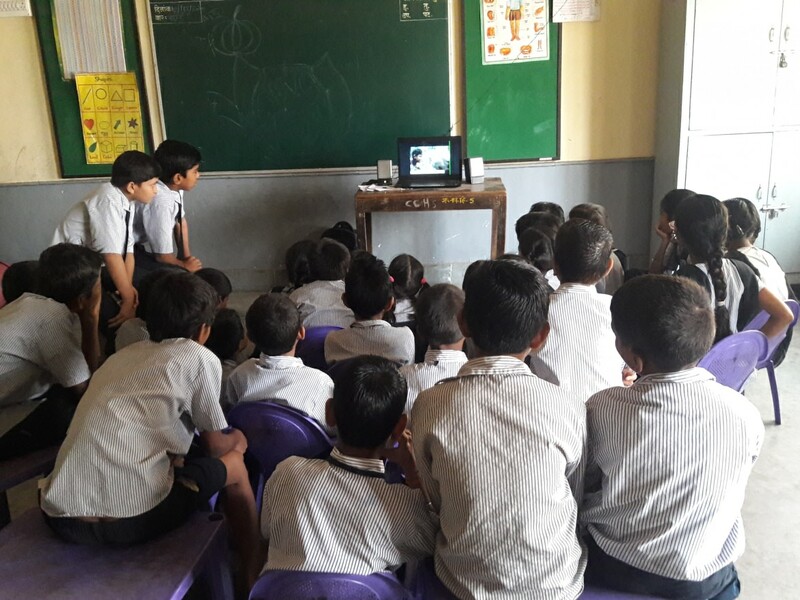 Next, Pallavi told the kids that she was going to start a video on a laptop and they’ll have to arrange themselves in a way that everyone could watch the video clearly. It took some time before the kids finally decided to settle down. The video was about a traffic jam that was caused by a fallen tree and it showed how a little kids’ initiative helped clear it. The purpose was to show how even children can become changemakers. After this they sat in a circle again and had a discussion about the video. 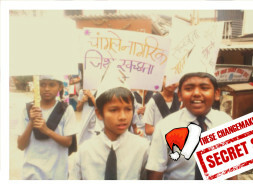 Each kid was encouraged to speak out about what they saw and learnt from the video. Pallavi asked questions like “Why did the adults/authorities not try to clear the jam in the first place? Why did the kid try to move the log even though he knew he could never move it alone?” It was easy to note how quickly the kids had grasped the significance of the little guys’ act. This went on for some time till the class got dismissed and Pallavi moved on to the next class. I was in awe of the way Pallavi had managed to grab the kids’ attention for the better part of an hour. Having tried my hand at teaching kids, I know how difficult it is to cater to short attention spans. Moreover, she managed to teach them without using the conventional government-school methodology of rebuking and punishing to curb indiscipline. “All of us facilitators try to be their friends first, so that we can establish a greater connection,” Pallavi told me. I left the classroom inspired and impressed by the work the team at Apni Shala was doing.